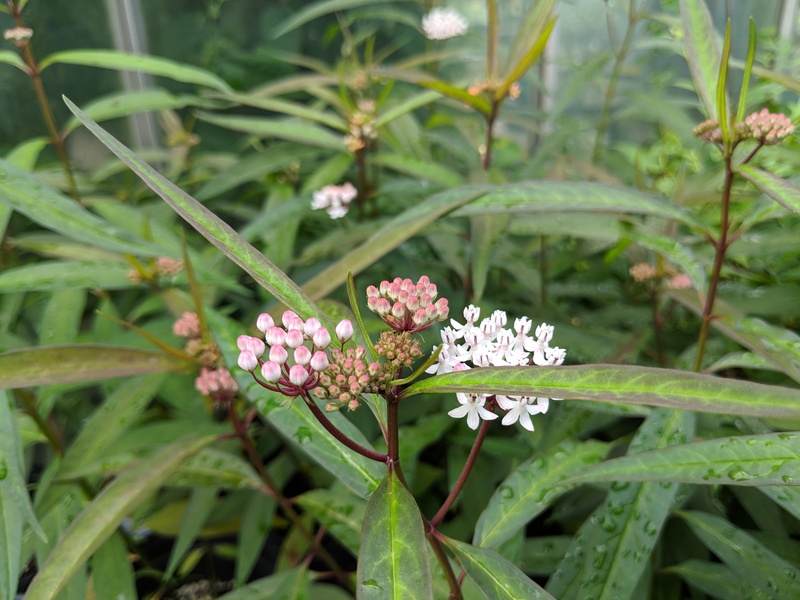 HMNS entomologists and horticulturists will take you behind the scenes of the containment room and rooftop greenhouses–areas not open to the public–where staff cares for the Museum’s caterpillars, butterflies, other insects, food plants for the butterflies. 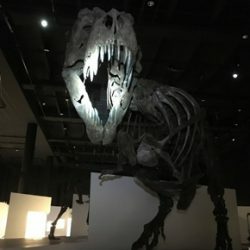 In addition to the behind-the-scenes zones, you will also tour the Cockrell Butterfly Center rainforest and Brown Hall of Entomology. Trip leaders are archaeologist Dirk Van Tuerenhout, Ph.D., HMNS curator who has participated in excavations in Belize, marine geologist André Droxler, Ph.D. of Rice University’s Department of Earth Science and Baker Institute who has spent his career studying coral reefs and global change, and Amy Featherston Potts who has produced numerous Museum trips in her tenure as Director of Adult Education. 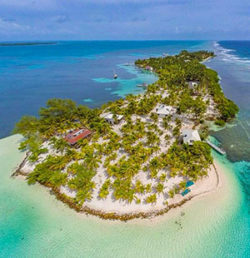 In this exclusive trip offered to HMNS, Dr. Droxler will take our group to the private-island research center at South Water Caye that, until now, has only been shared with his students and fellow researchers. This is a once-in-a-lifetime opportunity to visit research sites with a researcher who will explain the geology of the majestic reefs and coastlines. Register by October 18 for Members-only early-bird discount. Download the full itinerary and registration form here. Registration: click here to register online, call (713) 639-4629 or at the HMNS Box Office. Registration requires a deposit of $1,000 per person, completed registration form (page 14) and copy of your passport. By registering, you understand and agree to the Participant Requirements, Responsibilities and Notices (pages 10-11), and Registration and Cancellation Information (page 13) of this document. Availability and room preference is based by order of registration. Final payment is required by December 5, 2018. Tuesday, September 18, 6 p.m. This evening you can learn more about the Museum’s April 2019 trip to Belize and meet the experts accompanying the trip. A daytrip to Tikal in Guatemala, all meals and international airfare are included. Travel Night is free for all those interested in learning more about this once-in-a-lifetime trip. September 19 & December 26 | Museum closes at 9:00 p.m.
Museum restaurant will also be open. 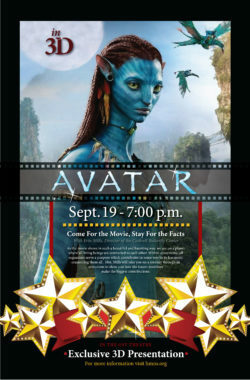 By special permission, this 3D screening of Avatar is being made available especially for HMNS. We are including a special presentation by our noted Director of the Cockrell Butterfly Center, Erin Mills. The backdrop of the film Avatar is a planet where all living beings are connected to each other. While this seems like fiction, it is not far at all from reality. Within eco-systems, all organisms serve a purpose which contributes in some way to its harmony, connecting them all. Director of the Cockrell Butterfly Center, Erin Mills, will take you on a journey through an ecosystem to show you how the tiniest members make the biggest contributions. Closed captioning is available for this film. 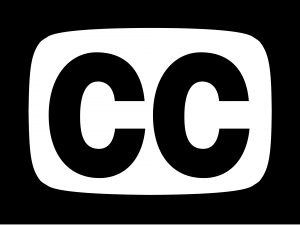 Please let Museum staff know if you need closed captions. DNA has changed how we view the world, but there is so much more to learn. What does DNA have to say about our Neandertal or Denisovan origins, or about our ethnic heritage? What will the technology allow us to learn in the future? 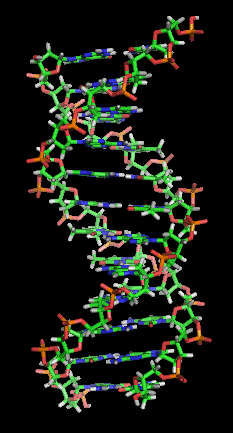 Biotechnology research scientist Michael Hammer will discuss DNA, our ancestors and us. This lecture is co-sponsored by AIA Houston’s Archaeology Now with support from Family Tree DNA. Save the date! Join us Saturday, September 22, 2018. 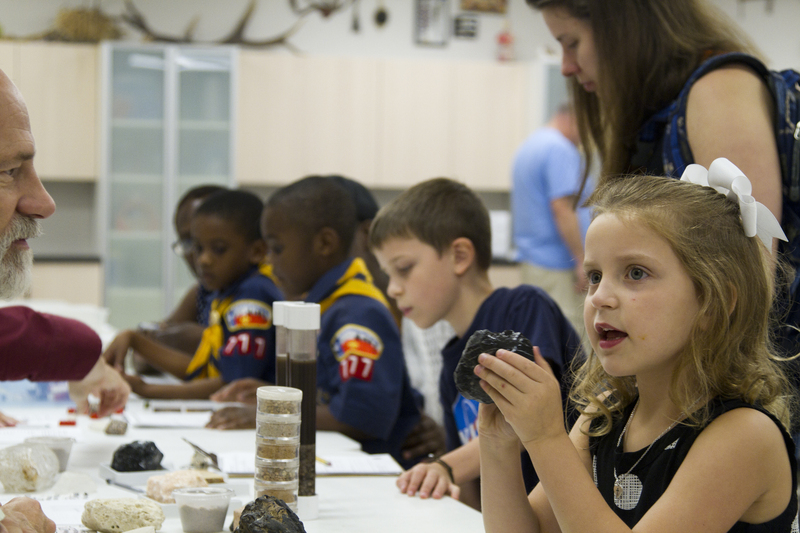 Scouts@HMNS is proud to host our fourth annual STEM/Nova Day on Saturday, September 22rd for Cub Scouts, Webelos, Boy Scouts and their families! Scouts will have access to the Museum at a discounted rate while working towards requirements for Nova Awards. The program will begin at 9am and conclude at 1pm. Scouts will have the opportunity to work on certain STEM/Nova Awards during their visit to HMNS. We’ll also have STEM Professional Booths available, so scouts can visit with STEM professionals from a variety of industries. Afternoon classes will be available to complete the required Adventures for both Nova Awards! Be sure to stop by the check-in table in the Museum’s Grand Hall that morning to access discounted pricing and discover what requirements you can meet! Adventure classes from 1 p.m. to 3 p.m. Boy Scout classes from 12 p.m. to 4 p.m. Check out our Scouts Facebook page for any updates. Our annual STEM/Nova Overnight has sold out. This year, we will be offering the opportunity for STEM organizations to host a STEM Professional Booth to talk with scouts and their families about science, technology, engineering and math! At each booth, organizations will have a STEM activity or demonstration to share with STEM/Nova participants as well as the general public visiting HMNS on STEM/Nova Day. For more information on hosting a STEM Professional Booth, read through the Frequently Asked Questions for STEM Professional Booths. To host a booth, please fill out the application and send to scouts@hmns.org.